Panel Blinds are a neat, practical and modern way to cover large openings such as sliding doors. It creates a minimalist look and can be manufactured in a variety of materials. 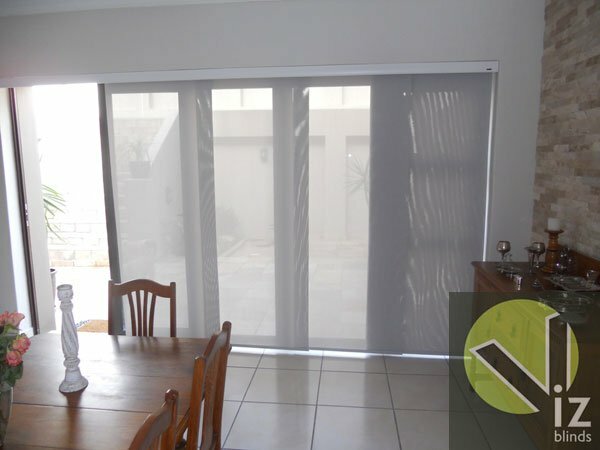 Each panel can range between 350mm wide to 1000 mm wide and the panels stack neatly behind each other just by the pull of one drawstring, so as not to take up any room in your living area.